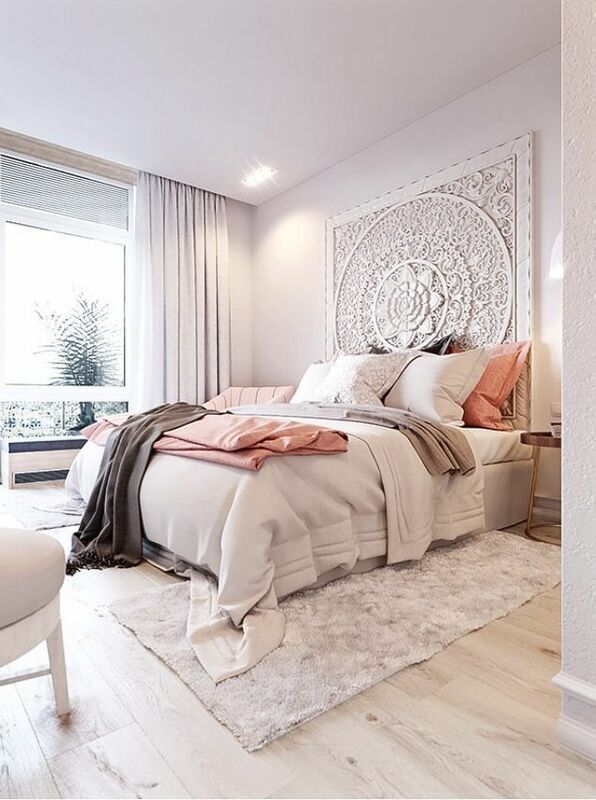 Blush is the perfect addition to a neutral space. Adding touches of pink pastel hues mixed with whites, woods, and brass will add an element of sophistication to any space. It brings out a soft, feminine quality, just imagine if navy blue was inserted into these spaces where you see all of the pink- How would those spaces feel then? Bold, preppy, and just a bit more masculine. We love this space from Mandi over at Vintage Revivals she has taken some builder-grade bones, and added some amazing textures and the softest hue of blush- and turned a mid-century space into an elevated oasis. A pink sofa is bold choice, and she has added just the right shades of grey and natural woods, and leathers to the space to make that sofa fit right in! Caitlin Wilson has some beautiful fabrics to add a touch of pink to your space. Her patterns are fresh and fun. The addition of her pillows to any room would add some playfulness and whimsy, without losing the grown-up feel. White spaces can benefit from the softness of blush and the drama of grey. A simple blanket or pillow cover is all that’s needed to make a monochromatic palette warm and welcoming.